James Taylor | Laura's "Rules"
The weather here has been very cold, at least for the past few days. I’m craving chili and soup, hot cider and cozy blankets. And new projects: I’m in discussions with a good friend and brilliant professor about a book we may write (details to come on that, I hope! ), and plotting to launch a green business with another friend. Things are germinating, but they are still only seeds. It’s the middle of winter, after all. In the larger world beyond my pillow, some things are also apparently afoot. The world has decided to ban new mercury emissions in an important new treaty, which will save future generations a lot of trouble if it actually gets done (and actually addresses the mercury released in mining). President Obama has announced some reasonable new policy proposals to limit access to guns, and my home state of Maryland is moving forward on sensible new gun measures, all of which is as reassuring as first steps can be. I personally enjoyed the pomp of the inaugural festivities, including the patriotic thrill of the speeches. Unfortunately, the music was kind of awful, though, wasn’t it? Why so pop and warble-y? Even the lovely James Taylor seemed flat. Kelly Clarkson, really? And all the hype over Beyonce? Puh-lease. As we all know now, she Milli-Vanillied it. But that wasn’t the only false note: there were far too many fluttery fake eyelashes and streaky blonde highlights overall, IMHO. The Prez sadly missed a moment to highlight more stirring acts — like the local and fabulous Sweet Honey in the Rock (perhaps singing “We Are the Ones”) or real blues and jazz folks (B.B. King? Or someone — anyone — with a little soul in their warble?). At least the First Lady rocked out her gown and new hairstyle. Rowr. Anyhow, my real point is: I’m baaack. With lots of plans for this blog and the new year. While you await the coming guest posts from exciting contributors and my promised download on pjs, here are a few easy ideas for creating your own winter garden of possibilities. Dunno about you, but on these bleak winter days I’m desperate for some green and growing things, indoors where we can see them take root. Like the mushroom farm, these are manageable and worthy projects for toddlers and bigger kids as well. 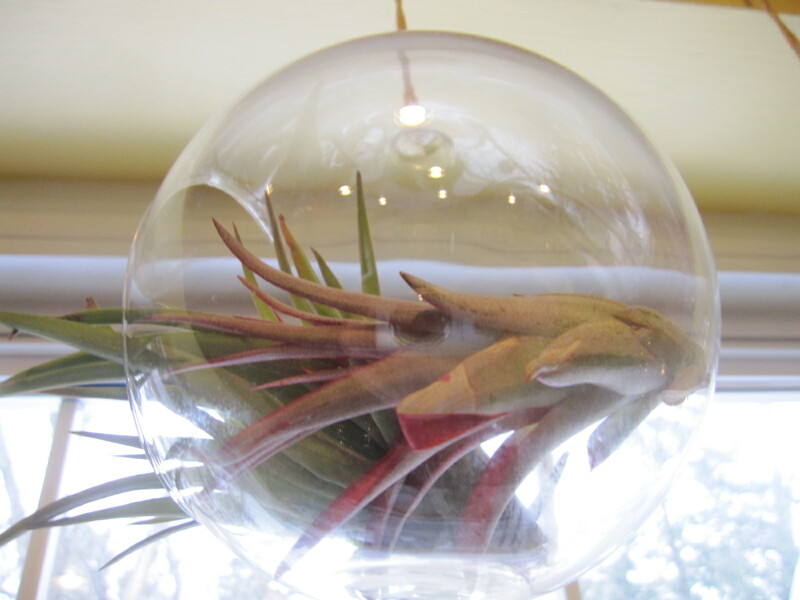 I saw both the terrarium and the tulips in small glass jars for sale for more than $20 in Whole Foods yesterday — but making your own costs only a few bucks, using materials you can find outside plus a few simple craft-store vases. 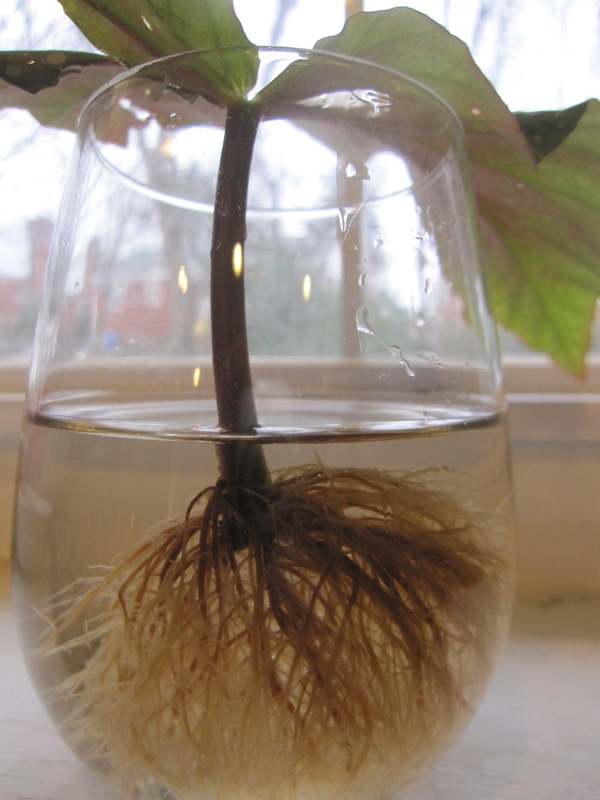 Raid a friend’s (or your own) plants for cuttings and set a few up in a wine glass where you can see the roots start to form and grow. Maya likes tracking the shoots downward and seems amazed by the changes. 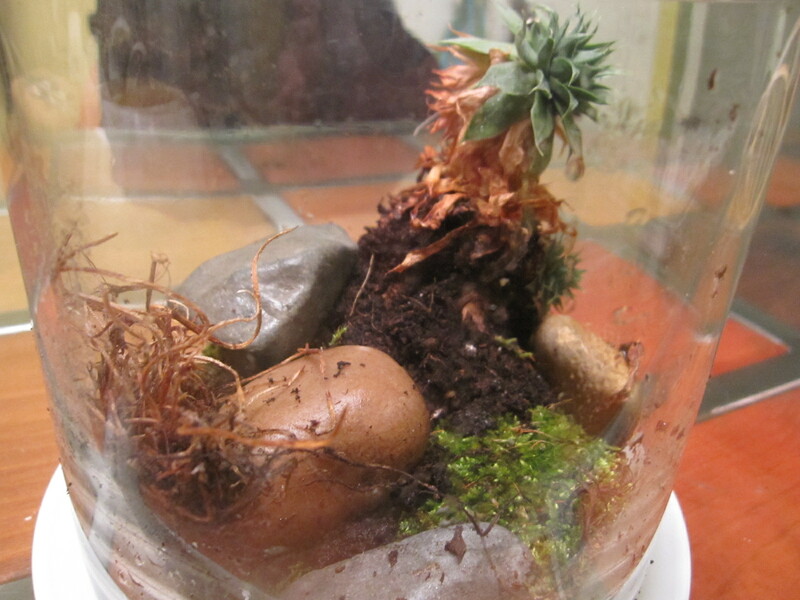 Once it’s got a little root action going, feel free to use it to make your own terrarium with moss, a few stones, and a small glass container (with a lid if you have one). Our cutting was too large for our container, so we used a left-over bit from another succulent instead, as well as some moss from a hike in the woods today, and a few smaller stones. We misted it with the small spray bottle leftover from our mushroom farm, and will cover it with a dish some of the time to keep it moist. Its zen feel is cheering me up already. 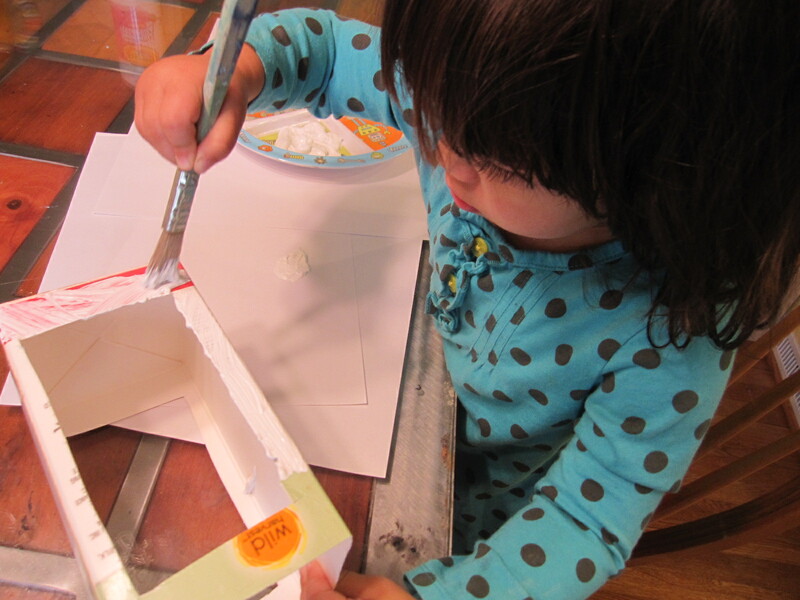 Using a cleaned milk carton, cut off the top and cut 2 rectangular “windows” in opposing sides. Paint or decorate as you like. Maya painted ours white with tempera paint and then I made flowers by cutting shapes out of a pretty blue watercolor painting she made. She helped glue them on. Using masking tape, tape some plastic wrap into the windows by setting the tape on one side and taping, then rolling the other side to fit and taping that. 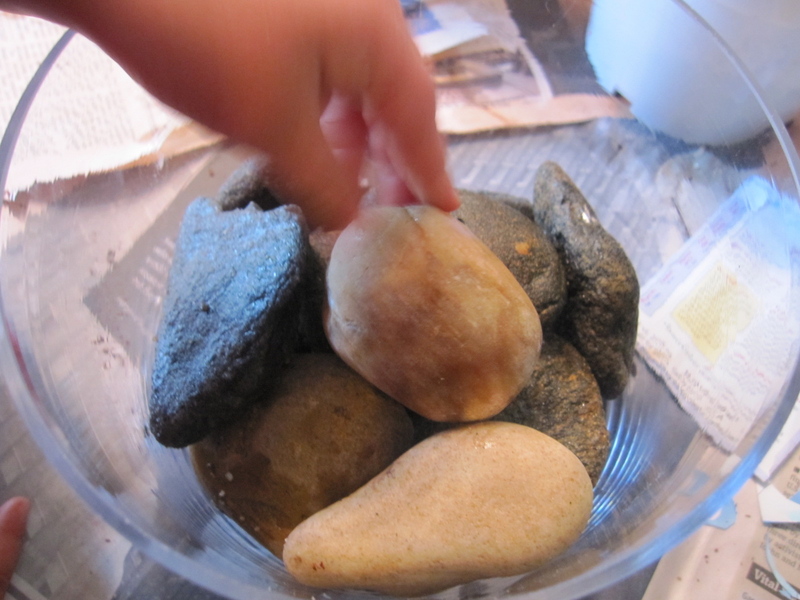 Fill the bottom with a few rocks or corks, and then soil up to the level for planting seeds. 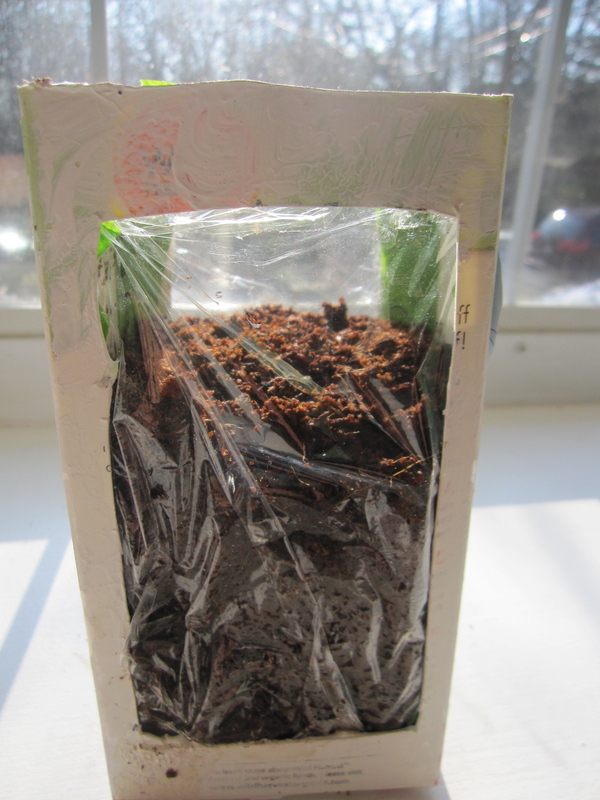 Let the toddler shake the seeds, count and plant them as the instructions say, making sure some are close to the “windows.” Top with soil and water per the seed packet instructions. Watch the plants grow! We like the children’s book, Paperwhite, which tells a lovely and simple story about planting a winter garden with rocks and bulbs, thus inspiring this idea. 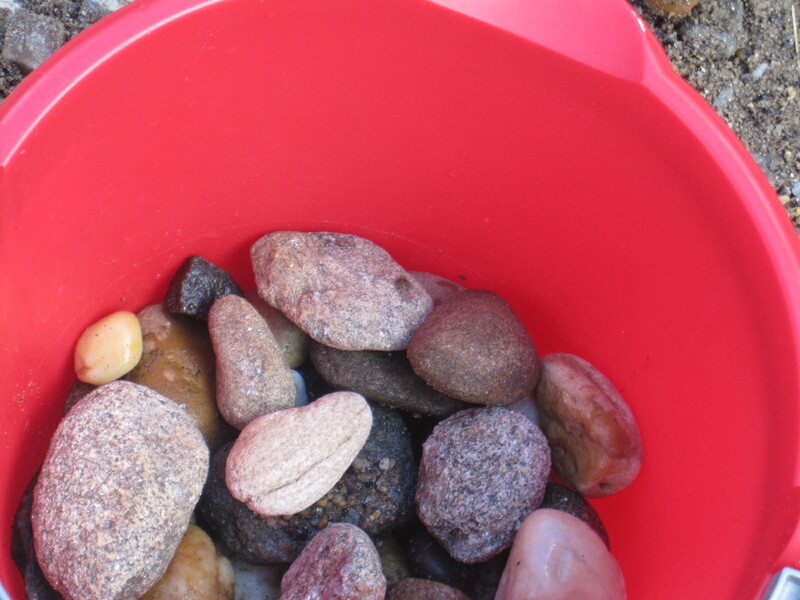 And collecting rocks to borrow is so much fun! 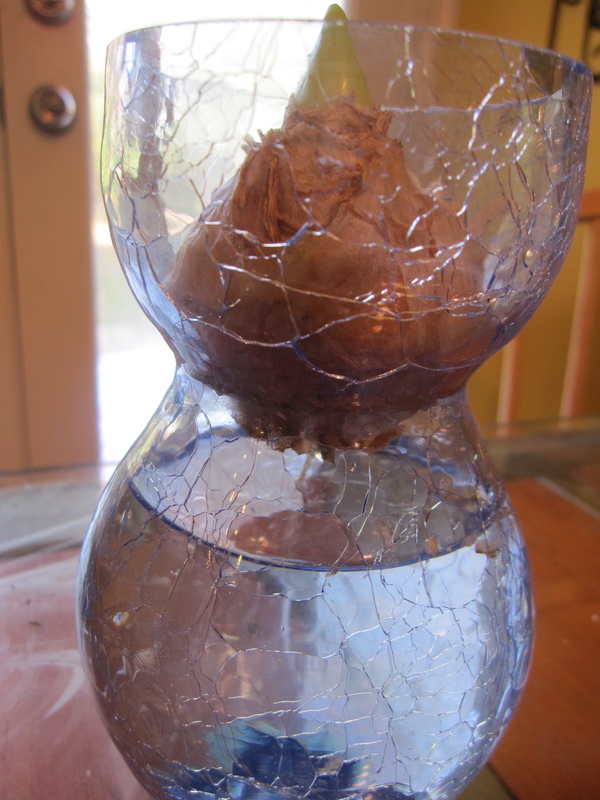 Soak the bulbs for an hour or so in warm water. 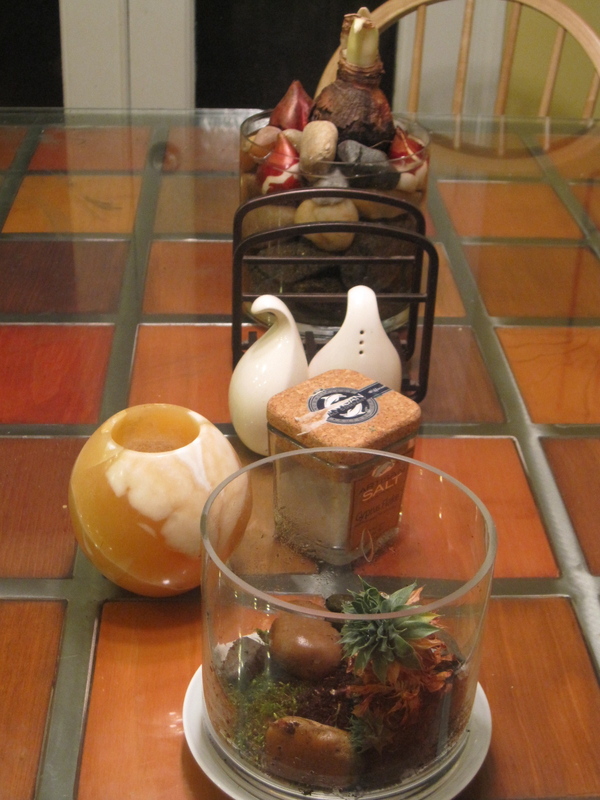 After sorting through your rocks, place them carefully in the glass vase. 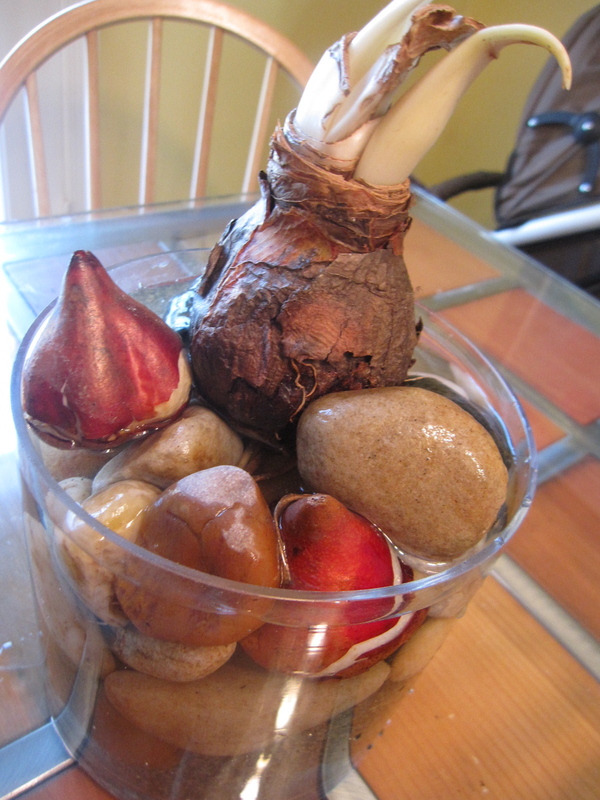 Plant the bulbs (we used amaryllis in the middle and three tulips around the edges) and let the toddler or child water as needed. 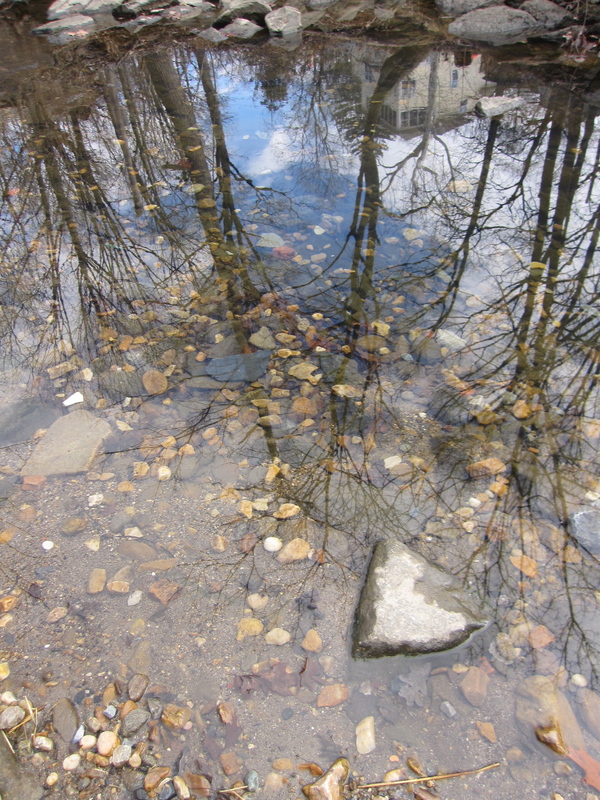 Track the roots and shoots as they develop (you could even mark the glass with pastels). 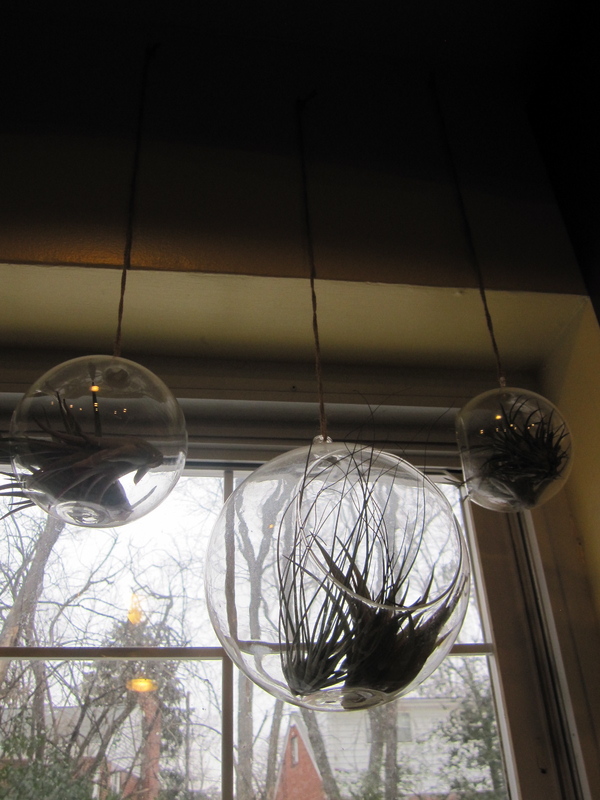 Some larger bulbs may need replanting in soil, as you like. When my Indian mother-in-law visited us several years ago, I came home and found she had planted some fenugreek seeds right out of the spice jar. They grew quickly with a minimum of fuss. And the sprouts were a delicious and healthy garnish on curries and rice. 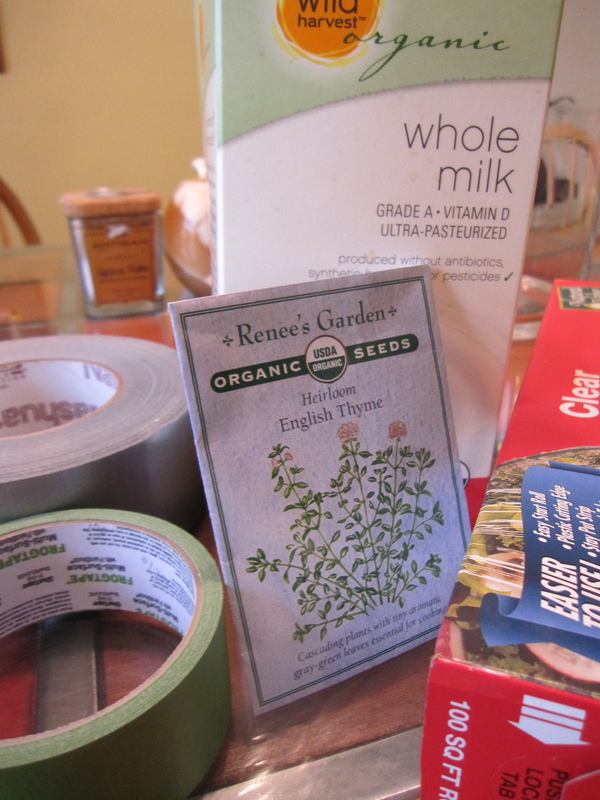 Since then, I’ve tried cumin seeds, mustard seeds, and anything else handy, with good results. (Obviously, you need to use the spices that are “seeds,” and not dried leaves or another part of the plant.) So just a few days ago, I polished off a planter from outside and now have a batch of fenugreek, or methi, popping up in my kitchen window. Thanks, Nanama! While at the hardware store, I also came across a package with a small glass vase and hyacinth bulb, which I snapped up as well. 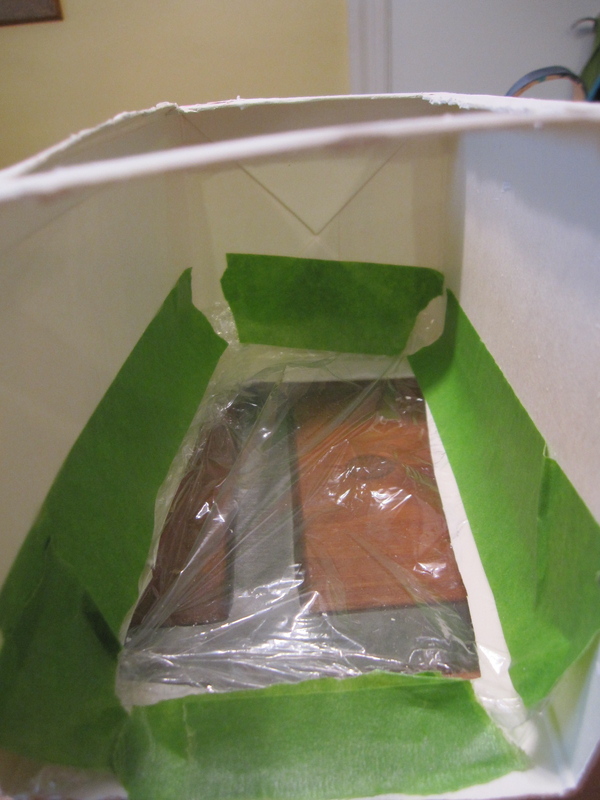 I got it started, but as they need several weeks under a paper bag in a cool, dark place like our basement, it won’t be the ideal touch of green I hoped for upstairs. 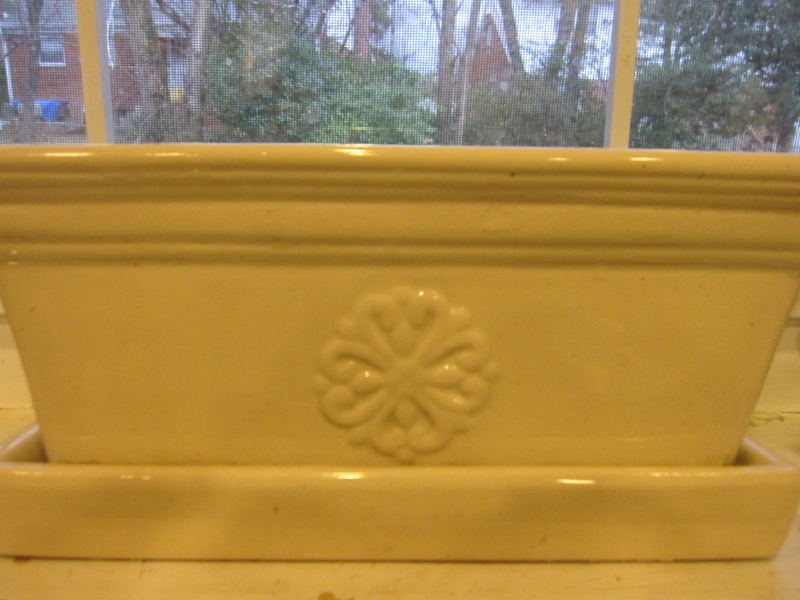 Still, we’ll keep an eye on it as the roots grow into the vase. How are you bringing an early spring indoors?